A Cognac from the rarest spirits from the Normandin-Mercier House. This Cognac is a blend of very old Cognac spirits originating exclusively from Premier Cru from the Cognac region: Grande Champagne. This Grande Champagne Cognac aged in red barrels and very old barrels. The colour is a sustained bright amber. The first attack to the nose is fine and elegant with notes of spices, candied fruits and orange peels. Then an expression of smoothness with aromas of brioche, apple turnover, spices, saffron and cinnamon. The palate is suave and long with a finesse of dried grape and apricot subtly combined with underwood, musk and oak wood. 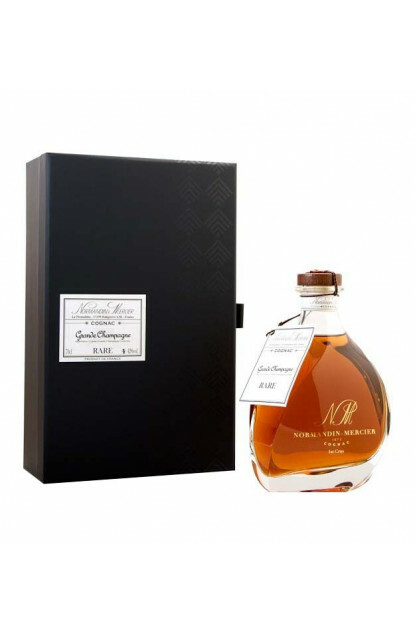 Normandin-Mercier Cognac is an old house from the 18th century in the Saintonge country surrounded by wineries where lay this House’s treasures dating back to the second French empire under Napoleon III. Created in 1872, it is currently a fifth generation that cares for this long inherited estate, not far from La Rochelle, “the rebel city”, with sieges by Louis XIII and Richelieu, a harbour originally made for the first wine travels, then later in the 17th century, travel of spirits distilled in the region which took the name of Cognac in the 19th century. It is where Premiers Grands Crus, truthful to its quality Charter, found this gem. 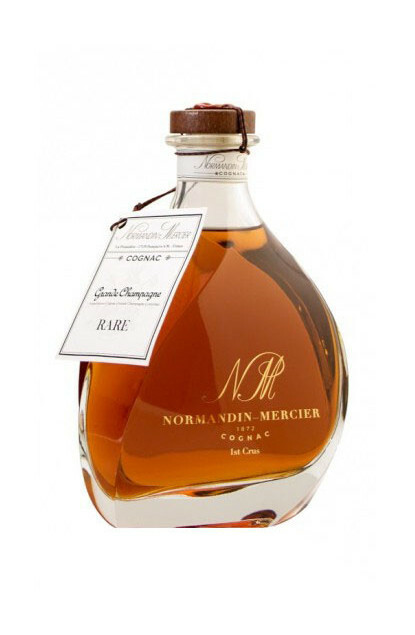 This Grande Champagne Premeir Cru Cognac is a cask strength with a level of 46 degrees.